Razor-sharp lines close to the relief demand uncompromising precision. The SPEEDMASTER3 delivers this and reacts to control pulses directly and without delay. 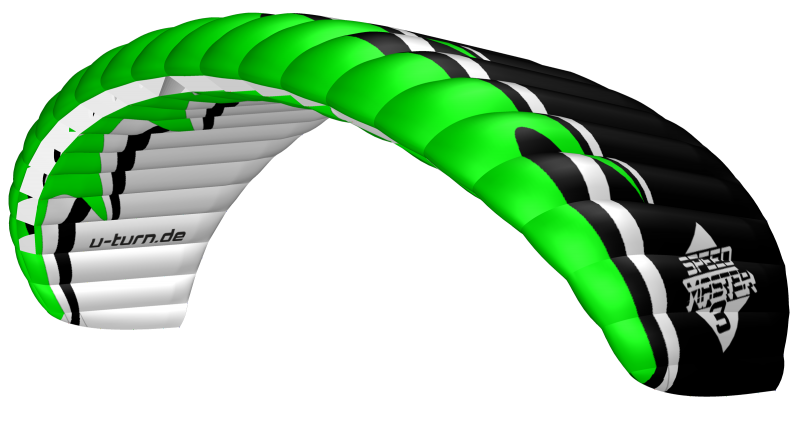 The modern construction provides a stable entity between wing and pilot and gives the dynamic flight a high pitch stability. 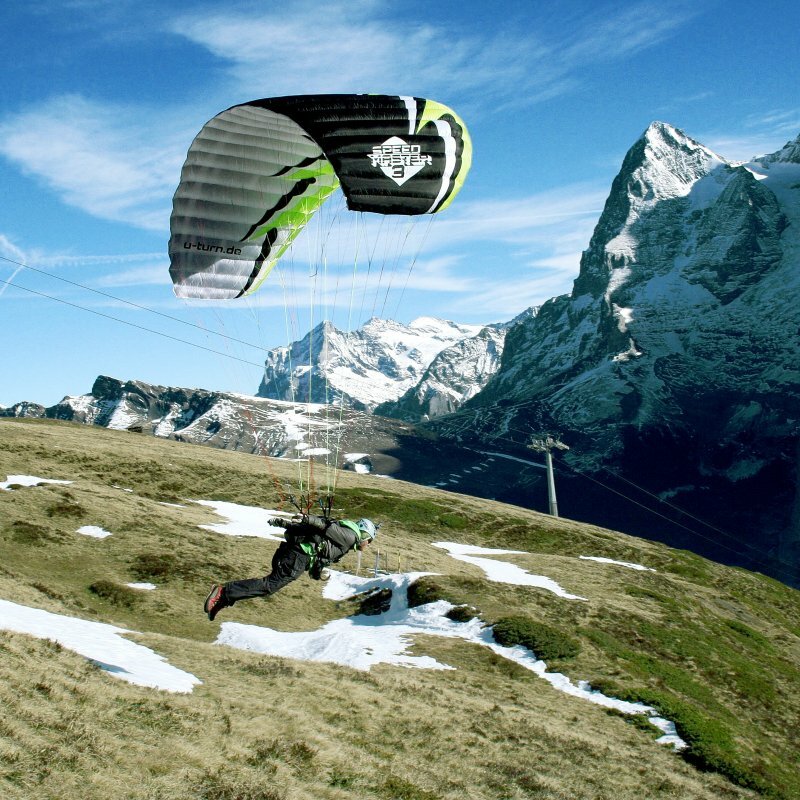 Despite the small surface area the compact wing offers much glide performance and a high speed area. The SPEEDMASTER3 is designed as an all-round speed glider - it follows your intuition whether you‘re on skis racing down snowy hills or over steep terrain in the summer. Dynamic and speed are doubtlessly fascinating but only if both remain controllable at any time. The SPEEDMASTER3 has a high tolerance area and nevertheless a sensitive handling. Elaborate calculations optimize the stability so you can focus on the perfect line. 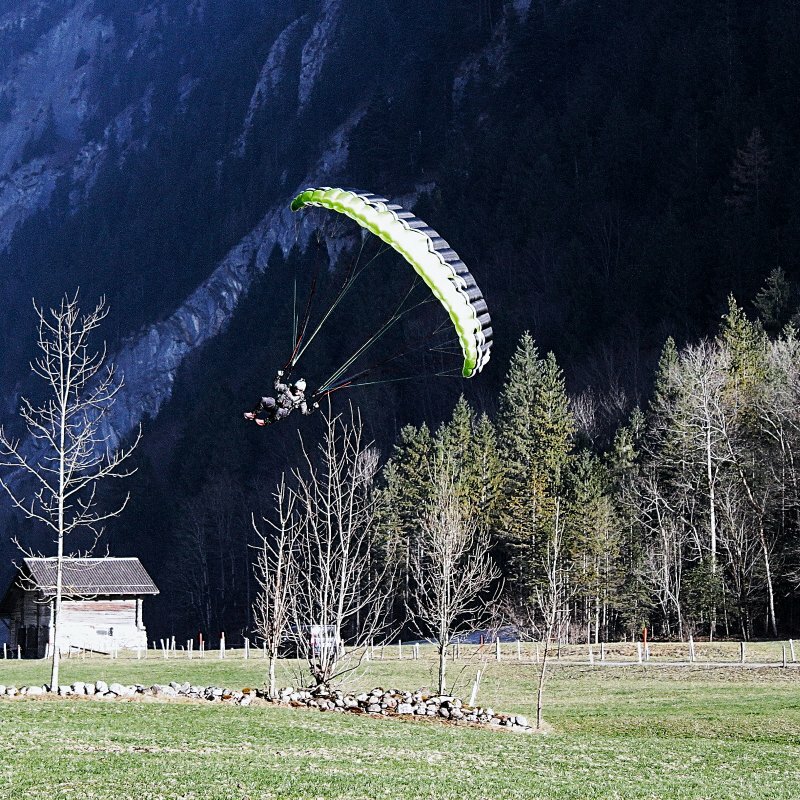 Through the application of trimmer and brake the gliding angle can be adapted quickly and precisely to the given terrain. Short touch downs are flown just as precisely as quick turns with deep dives. The name of the dynamic wing says it and holds a respectable amount of energy for swooping fans. During the development of the SPEEDMASTER3 special value was placed upon the easy starting behavior - the compact wing starts exceptionally reliable and rises instinctively above the pilot. While the bigger surface areas are perfect for the first experiments with speed-gliding the glider turns more and more into a profound wing for ambitioned speed-gliding pilots the smaller the size. The SPEEDMASTER3 is an all-terrain speedglider and is aimed at pilots who want to perfect the performances close to the ground. 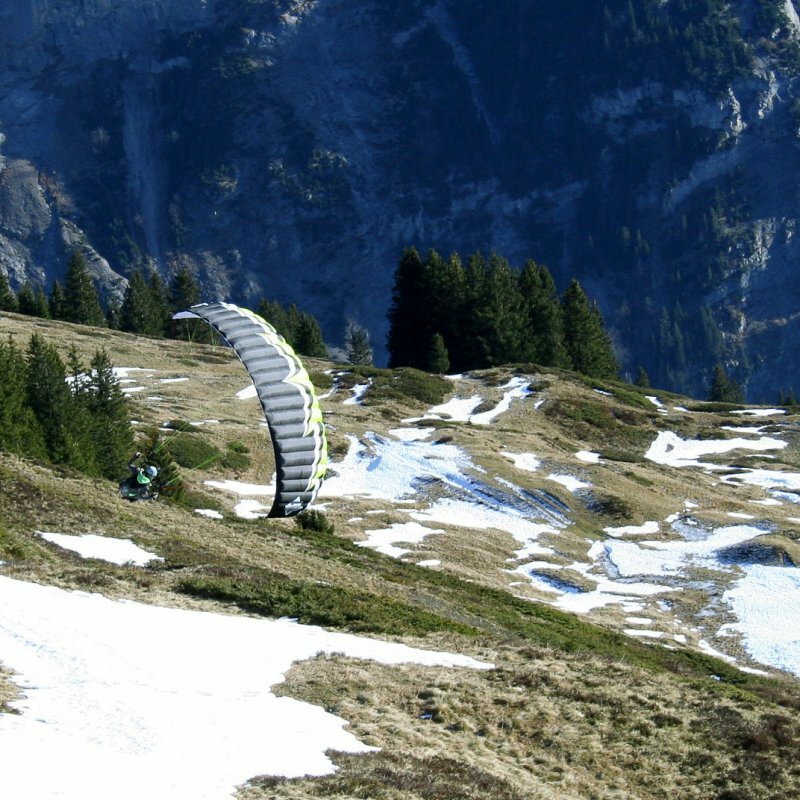 Foot launchable, with skis or for strong-wind freestyle-sessions. Chief designer Ernst Strobl uses the know-how from the acro area and combines dynamic with a profile that has strong ascending force. Elaborate calculations of the High Pressure Crossport Design (HPCD) are not only ensuring weight reduction but also maximize the lateral aeration of the cross ports. It gives the wing a balanced internal pressure and ensures a fast pressure build-up. The optimized pre-tensioning of the wing provides the perfect airflow around the wing, the Precision Profile Nose System (PPN) ensures the ideal inflow of the profile. A straight-forward line concept simplifies the handling and provides overview during the take-off-preparations. The used material in the SPEEDMASTER3 is aimed at long-term durability. To defy the harsh conditions like snow and sand, the wing is manufactured out of the high-quality materials Dokdo 30 and Dokdo 20. The material-mix provides a long lifespan and permanent form fidelity. Give your fun more speed! The SPEEDMASTER3 is available in three sizes 10, 12 and 14 as of now.